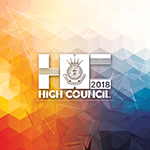 The 2018 High Council commenced on 17 May 2018. A High Council comprises all active Salvation Army commissioners (except the spouse of the serving General), territorial commanders and territorial presidents of women’s ministries. 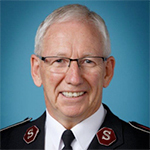 Its sole purpose is to prayerfully elect the next international leader of The Salvation Army, who will assume responsibility when General Cox retires at midnight 2 August 2018. 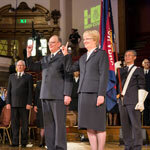 Membership of the High Council and some other aspects of its procedures are set out in the Salvation Army Act 1980, enacted by the British Parliament. News and updates will be published on this page throughout. The announcement of the 21st General of The Salvation Army will be made here shortly. The candidates and their spouses were given further time on Wednesday morning to finish questionnaires and write speeches. Tuesday morning began with nominees indicating whether they would accept or decline their nomination for election to office as General. Candidates who have accepted their nomination for General of The Salvation Army in alphabetical order (by surname). The congregation left having praised God and committed themselves – on a very personal level – to being a light for God in the darkest places of the world. With the reminder that the Army was relying on this High Council to elect the 21st General, the Chief of the Staff called the High Council to order.